Ice is food. Elevation Series machines feature an innovative design to keep ice safe and sanitary. Make it quick and easy to descale, and sanitize, and allow for effortless wipe downs between service calls. 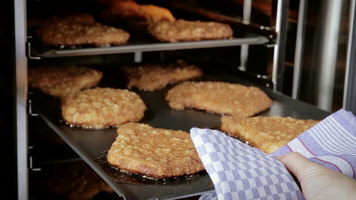 The unique food-zone allows the machine to be dismantled without tools, and can be kept clean for anyone with a few minutes and a clean rag. In this short video we'll demonstrate how to dismantle the food-zone and show you all of the dishwasher safe parts: front panel, top panel, top cover, water hose, evaporator splash guard, curtain, water distribution tube, water reservoir. Once dismantled you can wipe down the plastic edges of the machine. When it is time to put it back together, simply reinstall all of the parts in reverse order. 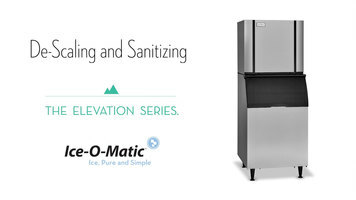 Get to know the Ice-O-Matic Elevation Series ice machines, and discover how easy it is to clean, descale, and sanitize. Ice-O-Matic CIM0320FA Elevation Series 22" Air Cooled Full Dice Cube Ice Machine - 115V; 313 lb. Ice-O-Matic CIM0320HA Elevation Series 22" Air Cooled Half Dice Cube Ice Machine - 115V; 313 lb. Ice-O-Matic CIM0330FA Elevation Series 30" Air Cooled Full Dice Cube Ice Machine - 115V; 313 lb. Ice-O-Matic CIM0330HA Elevation Series 30" Air Cooled Half Dice Cube Ice Machine - 115V; 313 lb. Ice-O-Matic CIM0430FA Elevation Series 30" Air Cooled Full Dice Cube Ice Machine - 115V; 435 lb. Ice-O-Matic CIM0430HA Elevation Series 30" Air Cooled Half Dice Cube Ice Machine - 115V; 435 lb. Ice-O-Matic CIM0436FA Elevation Series 30" Air Cooled Full Dice Cube Ice Machine - 208-230V; 465 lb. Ice-O-Matic CIM0436HA Elevation Series 30" Air Cooled Half Dice Cube Ice Machine - 208-230V; 465 lb. Learn how to descale and sanitize your Elevation Series machine. 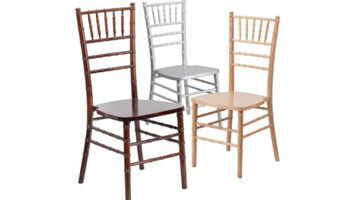 Perfect for special occasions, the wood Chiavari chair from Flash Furniture is a strong, reliable, and attractive seating solution! Available in a variety of finishes, this chair is built to accommodate up to an impressive 1100 lb. of weight and can stack up to 10 chairs high for convenient, space-efficient storage.